So Much to Offer! Your future home has been well maintained and loved with many updates. Updates include hardwood floors installed and/or refinished, well planned kitchen remodel with golden oak cabinets that include butler's pantry-styled spice rack, cookie sheet cabinet and dual access cabinets, custom back splash, energy efficient windows throughout home, newer roof, custom hunter douglas blinds, newer boiler with zone heating, newer water heater, attic insulation, motion sensor lighting, perennial landscaping, chimney relined with concrete, smoke detectors, irrigation system on separate water meter (not charged sewage fee), newer faucet, crystal sound proof ceiling tiles in basement, and LED lighting. Rarely used Honda Motorcycle and workbench stays with home. 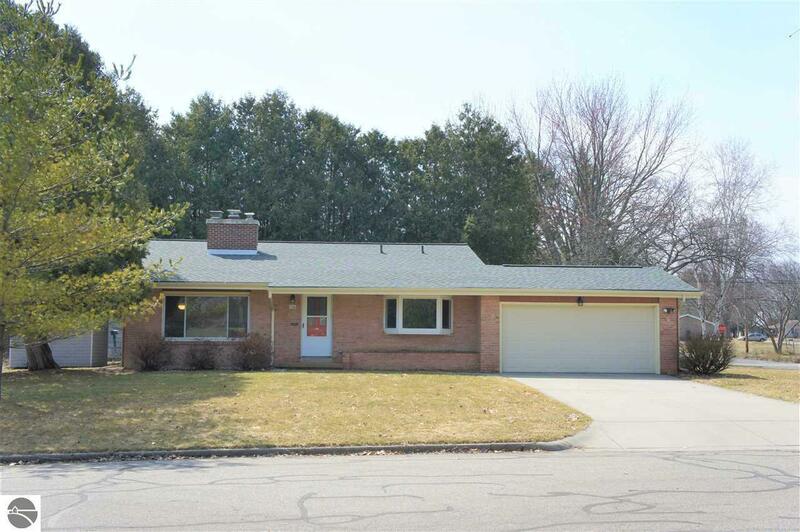 This 3 bedroom, 2 bath, 2 car garage tri-level home is close to everything, CMU, Vowels Elementary, Veits Woods & trails, shopping, and more. No backyard? No problem. Large corner yard coupled with backyard deck allows plenty of room to play, or entertain. Hardwood oak floors throughout home. Reclaimed barn wood graces the walls and mantel of the lower level. Two working fireplaces for romantic evenings. This home is a must experience.